Mercedes there is no substitute! Winter luxury meets safety of 4-matic traction control. PRICE SLASH-NOW Only 12988! Test drive is in order to experience and appreciate the German Engineering, attention to detail, expansive features, safety and durability. The Mercedes is taut, firm, with a high level of handling performance that begs to be driven as an elegant sports car. This well maintained low mile (65101) vehicle is loaded with creature comforts: 2.6 LITER V6, 4MATIC ALL WHEEL DRIVE, AUTOMATIC TRANSMISSION WITH SPORT SHIFT, LEATHER SEATING, DUAL POWER HEATED SEATS, 6CD/TAPE, POWER MOONROOF, REAR POWER SUNSHADE, POWER WINDOWS, POWER LOCKS, POWER MIRRORS, CRUISE, AIR, TILT, LOW MILES- CLEAN 2 OWNER CARFAX. 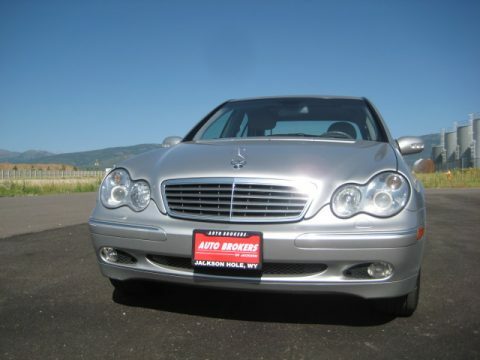 To view the CarFax and extensive details of the Mercedes; click onto our website: http://autobrokersofjackson.com. To talk exclusively with Corky please call 307-690-1148 or 208-354-1300.